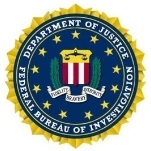 In the first half of the 20th Century, the Federal Bureau of Investigation (FBI) was recognized as the federal government’s top law enforcement operation. Its crime-fighting reputation was forged during the era of Prohibition when Special Agents brought down famed gangsters like John Dillinger. But over time numerous controversies have tarnished the once-legendary Bureau. The last 10 years have been especially unkind to the FBI as botched police operations and the failure to prevent the 9/11 terrorist attacks have produced a bevy of complaints. Even after making substantial changes to its intelligence gathering operations, the FBI is still under threat of losing some of its authority. The Federal Bureau of Investigation (FBI) was created in 1908, thanks to the vision of President Theodore Roosevelt and Attorney General Charles Bonaparte. At the time, the Attorney General (AG) lacked manpower to conduct investigations, relying mostly on the Secret Service when situations called for the AG’s office to handle an important law enforcement matter. Roosevelt agreed that the situation required changes and gave his blessing to Bonaparte to appoint a force of Special Agents within the Department of Justice (DOJ). The first Special Agents consisted of ten former Secret Service employees and a number of DOJ investigators. On July 26, 1908, Bonaparte ordered them to report to Chief Examiner Stanley W. Finch, which is considered the official beginning of the FBI. By the following year, as Bonaparte and President Roosevelt were heading out of office, the AG recommended that the force of 34 agents become a permanent part of DOJ. The new Attorney General, George Wickersham, named the force the Bureau of Investigation on March 16, 1909. At that time, the title of chief examiner was changed to chief of the Bureau of Investigation. The first major expansion for the new bureau came in June 1910 when the Mann Act was passed, making it a crime to transport women over state lines for prostitution. It also gave federal investigators a new means for pursuing criminals who evaded state laws but had no other federal violations. Finch became Commissioner of White Slavery Act violations in 1912 and former Special Examiner A. Bruce Bielaski became the new Bureau of Investigation chief. Over the next few years, the number of Special Agents grew to more than 300, and these individuals were complemented by another 300 Support Employees. Field offices existed from the bureau’s inception. Each field operation was controlled by a Special Agent in Charge who reported to bureau headquarters in Washington, DC. Most field offices were located in major cities. However, several were located near the Mexican border where they concentrated on smuggling, neutrality violations and intelligence collection (regarding the Mexican revolution). When the US entered World War I, the bureau’s responsibilities grew to include activities involving espionage, Selective Service and acts of sabotage. Bureau agents also assisted the Department of Labor by investigating enemy aliens. As part of this work, a young man named Herbert Hoover was hired to work for the Justice Department. A graduate of George Washington University’s law school, Hoover, in his mid-twenties, helped lead DOJ’s enemy alien operations during World War I and, in the General Intelligence Division under Attorney General A. Mitchell Palmer, assisted with investigating suspected anarchists and communists. In 1919, William J. Flynn, former head of the Secret Service, became Director of the Bureau of Investigation and was the first to use that title. Flynn would serve five years as director. During that time, Washington was awash in political scandals emanating from the administration of Warren G. Harding, including the infamous Teapot Dome scandal which destroyed the president’s reputation. Following Harding’s death in 1923, Calvin Coolidge assumed the presidency and replaced many of Harding’s disgraced cabinet members. For the new Attorney General, Coolidge appointed attorney Harlan Fiske Stone. Stone then selected Hoover to head the Bureau of Investigation in 1924. When Hoover took over, the Bureau of Investigation had approximately 650 employees, including 441 Special Agents who worked in field offices in nine cities. By the end of the decade, there were approximately 30 field offices, with divisional headquarters in New York, Baltimore, Atlanta, Cincinnati, Chicago, Kansas City, San Antonio, San Francisco and Portland. Hoover fired any agents he deemed unqualified and adopted important changes to the bureau’s operations. For instance, the bureau’s seniority rule of promotion was abolished, replaced by uniform performance appraisals. In January 1928, Hoover established a formal training course for new agents and mandated an age requirement of 25-35 for new recruits. He also gave preference to agents with law or accounting experience. The following year, 1929, the stock market crashed, ushering in the Great Depression and an era of increased crime. It was during the 1930s that the bureau began to earn a national reputation and Hoover solidified his law enforcement empire. Noting the widespread interest of the media to report on crime, Hoover began to use newspapers to carry his message that the Bureau of Investigation was working to secure the safety of honest Americans. In 1932, the first issue of the FBI Law Enforcement Bulletin - then called Fugitives Wanted by Police, was published. High profile cases such as the kidnapping of the Lindbergh baby in 1932 gave Hoover’s bureau a chance to involve itself in a case that received constant media attention. The bureau also went after infamous gangsters like John Dillinger and Al Capone, leading to sensational captures. The Bureau of Investigation was renamed the US Bureau of Investigation on July 1, 1932. Then, beginning July 1, 1933, the Department of Justice experimented for almost two years with a Division of Investigation that included the Bureau of Prohibition. Public confusion between Bureau of Investigation Special Agents and Prohibition Agents led to a permanent name change in 1935 that brought about the Federal Bureau of Investigation. As the threat of war grew in Europe, President Franklin Roosevelt ordered federal investigators to keep tabs on fascist and communist organizations operating in the U.S.
A 1939 Presidential Directive further strengthened the FBI's authority to investigate suspected subversives in the United States, and Congress reinforced it by passing the Smith Act in 1940, outlawing advocacy of violent overthrow of the government. When Congress instituted the military draft in 1940, the FBI was put in charge of locating draft evaders and deserters. Federal agents also collected information on would-be spies in the U.S. to help prevent German or Japanese sympathizers from committing acts of sabotage. The FBI uncovered the Frederick Duquesne spy ring, one of the largest ever discovered up to that time, leading to the arrest and conviction of 33 spies. The Fuchs and Rosenberg scandals helped feed the post-WWII frenzy that gripped Washington and later the nation over Communist infiltration of American institutions. The era of McCarthyism proved a golden opportunity for Hoover who further expanded his power by employing his agents in critical investigations of Americans suspected of being Communists or helping expand the Soviet Union’s purported efforts to take over the United States. Throughout the 1950s and 1960s, Hoover had his FBI collect data on thousands of Americans of all walks of life. As the Civil Rights movement grew, Hoover targeted for investigation people like Martin Luther King and Malcolm X. At the same time, the FBI conducted criminal investigations of the murder of civil rights workers, inclduing the 1964 slayings of voting registration workers Michael Schwerner, Andrew Goodman and James Chaney in Mississippi. During the protests against the Vietnam War in the 1960s, the FBI spied on many of those opposed to the war, including Vietnam Veterans Against the War. Special Agents also spied on the likes of the Student Nonviolent Coordinating Committee (SNCC), Nobel Prize winner Thomas Mann and members of the famed “Chicago Seven,” such as Abbie Hoffman. Most of Hoover’s FBI clandestine activities were not revealed until after the director’s death in 1972, after 47 years in power. His immediate successor was acting Director L. Patrick Gray, whose time in charge was cut short by the Watergate scandal. The FBI was charged with investigating the break-in of the Watergate Hotel and attempted spying of the Democratic Party by Republican operatives. Suspicions circulated around Washington as to Gray’s role in the conspiracy, which damaged his effectiveness in leading the bureau (Gray was never indicted on any charges). He was replaced in April 1973 by another acting Director, William Ruckleshaus, a former Congressman and the first head of the Environmental Protection Agency. Ruckleshaus was merely a stop-gap measure until Clarence Kelley was appointed in July 1973. Kelley, a former Kansas City Police Chief and twenty-year FBI agent, wound up serving five years as the head of the FBI, during which time he had the task of refurbishing the bureau’s tarnished reputation. In 1978, William Webster took over the helm of the FBI during the administration of President Jimmy Carter. The Webster era at the FBI was marked by a series of high profile law enforcement campaigns that helped people forget about the bureau’s dark days. A rise in international terrorism led to the FBI taking on a larger role in counterterrorism efforts and investigating attacks and hostage-taking incidents involving U.S. citizens. Espionage cases also became big media stories with the FBI helping to capture spies such as former Navy officer John Walker and former National Security Agency employee William Pelton. Another expansion of FBI duties occurred with the Reagan administration’s War on Drugs. Although the bureau had long been involved in the investigation of illegal drugs and alcohol going all the way to Prohibition, the 1980s marked a change for the FBI when Attorney General Edwin Meese gave the FBI concurrent jurisdiction with the Drug Enforcement Administration (DEA) over narcotics violations in the United States. Webster strengthened the FBI’s response to white-collar crimes, especially cases of public corruption involving politicians. FBI agents investigated members of Congress (ABSCAM), the judiciary (GREYLORD) and state legislatures in California and South Carolina. The FBI also uncovered instances of fraud that lay behind many of the savings and loans failures of the 1980s. In 1984, the FBI acted as lead agency for security of the Los Angeles Olympics. In preparing for the Olympics, the bureau established the Hostage Rescue Team (HRT), a special force designed to handle the kind of tragic events that marred the Olympic Games in Munich in 1972. While no hostage events occurred in Los Angeles, the HRT would go on to become involved in several high-profile FBI cases in the 1990s that ended tragically. In August 1992, the FBI was called into to help with the siege at Ruby Ridge, Idaho. The incident began with U.S. marshals trying to arrest Randall Weaver on federal weapons charges which resulted in a gunfight that left one marshal and Weaver’s fourteen-year-old son dead. When the stand-off settled into a siege, the marshals requested backup from the FBI, which sent in its Hostage Rescue Team. Initially, the head of the HRT, Richard Rogers, wanted to demolish the cabin that Weaver and others were hold up in by using a special assault vehicle in the HRT’s mobile arsenal. Rogers’ superiors in Washington rejected this plan. But they did authorize an aggressive, shoot-to-kill order that led to an FBI sniper killing Weaver’s wife. The siege ended after Weaver gave himself up. The handling of the Ruby Ridge incident by federal law enforcement led to one of the most intensive and controversial investigations in recent history. The FBI faced widespread resentment and Attorney General Janet Reno established a Justice Department task force to investigate what had happened. National debates on the case were said to have fueled anti-government sentiments, such as the bombing of a federal building in Oklahoma City in 1995. Unfortunately for the FBI, six months later the HRT was again mobilized to contain another crisis, this one touched off by the Bureau of Alcohol, Tobacco and Firearms (ATF). The ATF’s initial raid on the Branch Davidian compound in Waco, Texas, failed to complete its mission—the capture of cult leader David Koresh—and left four ATF agents dead. In came the HRT, which stood around with other federal law enforcement officers for 51 days until the order was given to raid the compound. This triggered the collective suicide and/or murder of all but a handful of the Branch Davidian members. During subsequent investigations of the handling of the Waco siege, it was revealed that the FBI withheld key information and had lied about its use of gas in the final raid. As if Ruby Ridge and Waco weren’t enough, the FBI’s reputation declined even further in the wake of two espionage investigations. Aldrich Ames was a longtime CIA operative-turned-spy who spent years giving American secrets away to the Soviet Union before the FBI caught up with him. The FBI was faulted for its investigation on numerous counts. The bureau’s investigation was turned over to relatively low-level agents and was treated indifferently by FBI leadership. Also, an FBI task force reported to the FBI director without mentioning the fact that the CIA had lost considerable intelligence assets in the Soviet Union—an omission that helped downgrade the importance of the investigation. The FBI also made little effort to work with the CIA in finding Ames. And then there were the trumped up FBI investigations involving America’s nuclear secrets and a bombing threat at the 1996 Summer Olympic games in Atlanta. Richard Jewell was a private security guard who discovered a pipe bomb at the 1996 Games and was initially hailed as a hero for his actions. But then the FBI suspected Jewell may have placed the bomb in an attempt to draw attention to himself, and the subsequent leak by the FBI of Jewell being a suspect set off a media witch hunt against the man. Eventually Jewell was exonerated but not before his life was turned upside down. He died in 2007 at age 44. Wen Ho Lee had been a computer scientist at Los Alamos National Laboratory for 21 years when he was arrested by the FBI in 1999 and charged with not properly securing classified materials and failing to report meetings with individuals from "sensitive" countries. He was held for a year. Some observers maintained that Lee was a scapegoat for the larger public controversy swirling at the time over Chinese espionage against the U.S., and some Asian Americans charged that Lee’s arrest was motivated by racism. At his trial in September 2000, Lee was convicted on only one of the charges against him—illegally gathering and retaining national security data. The court released him on time served and ordered him to undergo 60 hours of government debriefing. In spite of its many missteps, the FBI largely got a pass from Congress during the 1990s thanks to Director Louis B. Freeh’s relationship with Republicans on Capitol Hill. Freeh was extremely popular with GOP members because he proved to be no friend of Democratic President Bill Clinton. And although they criticized FBI lapses at Ruby Ridge, Waco and in the Olympic Park bombing case, Congressional Republicans refrained from criticizing Freeh and the bureau’s key leadership. By the beginning of the 21st Century, the FBI suffered from a serious lack of modern technology. As Director Freeh prepared to depart the bureau, the standard-issue FBI computer was the outdated 386 or 486 PC. Even worse was the state of the FBI’s database. The bureau’s Automated Case Support (ACS) system, a centralized database designed to store and aggregate the mass of information FBI Special Agents assembled in the course of investigations, was plagued by problems from the start in 1995. The system lacked the complex cross-referencing tools that investigators needed to conduct complex data-mining that could have tipped off Special Agents about the plot to hijack American commercial airliners on Sept. 11, 2001. In the aftermath of the terrorist attacks, the federal government’s investigation into what went wrong was especially critical of the FBI. As lawmakers debated what changes to implement, the very state of the bureau was threatened. Some officials wanted to strip the FBI of any domestic intelligence duties and turn it into strictly a law enforcement operation. The FBI’s new director, Robert Mueller, who took over the bureau just days before 9/11, convinced Congress to give the FBI another chance. Mueller then went about beefing up the FBI’s intelligence collection and analysis capacities. He brought in a team of CIA intelligence analysts to FBI headquarters to set up an intelligence analysis unit within the FBI. Mueller also created an information sharing system between the bureau and the Central Intelligence Agency to help facilitate the flow of data that could lead to preventing future terrorist attacks. Today, the FBI even allows CIA agents to be stationed at FBI field offices throughout the country. The Federal Bureau of Investigation (FBI) is the federal government’s top law enforcement agency. From investigating mafias to snooping on would-be terrorists, the FBI carries out critical police activities while enforcing federal laws. The FBI operates 56 field offices in major US cities and more than 400 resident agencies that support the work at field offices. The FBI also produces a large volume of reports and publications that touch on crime statistics, terrorism, cyber-security, white-collar and violent crime. InfraGard: A partnership between the FBI and the private sector, InfraGard is an association of businesses, academic institutions, state and local law enforcement agencies and other participants designed to help share information and intelligence that could prevent acts of terrorism against the United States. Originally, InfraGard was geared towards protecting Internet and computer vulnerabilities. But after 9/11 the program expanded to include physical as well as cyber threats to critical infrastructures. InfraGard Chapters are geographically linked with FBI field offices. Each chapter has an FBI Special Agent Coordinator assigned to it, and the FBI Coordinator works closely with Supervisory Special Agent Program Managers in the Cyber Division at FBI Headquarters in Washington, DC. Each chapter maintains access to experts who can advise InfraGard on the following infrastructure areas: Agriculture and Food; Banking and Finance; Chemical; Defense Industrial Base; Drinking Water and Wastewater Treatment Systems; Emergency Services; Energy; Information Technology; National Monuments and Icons; Postal and Shipping; Public Health and Healthcare; Telecommunications; Transportation Systems; Commercial Facilities; Commercial Nuclear Reactors, Materials, and Waste; Dams; and Government Facilities. Among the many crimes the FBI investigates, public corruption is ranked right at the top of its priorities. This section focuses on crimes perpetrated by public officials, including elected politicians, accused of crimes such as government fraud, election fraud and foreign corrupt practices. The FBI takes special note of its criminal investigations that arose in the wake of Hurricane Katrina. Civil Rights: The FBI is the lead federal agency for investigating violations of civil rights laws. Key cases of civil rights violations involve hate crimes, human trafficking (prostitution), color of law (police abuse and sexual assaults are two examples) and freedom of access to clinics (attacks on family-planning clinics that offer abortion procedures). White-Collar Crime: This section represents one of the largest areas of law that the FBI tackles. Enforcement of antitrust laws include federal statutes like the Sherman Antitrust Act, the Clayton Act, and the Federal Trade Commission Act that prohibit price fixing, bid rigging and unfair mergers and acquisitions. Cases of bankruptcy fraud include the recently announced results of “Operation Truth or Consequences,” which resulted in 78 individuals being charged. The operation was a joint effort with the US Attorney’s Offices, the US Trustee Program and other federal agencies. Corporate/Securities Fraud involves accounting schemes, self-dealing by corporate executives and obstruction of justice. The majority of corporate fraud cases pursued by the FBI involve accounting schemes designed to deceive investors, auditors and analysts about the true financial condition of a corporation. Through the manipulation of financial data, the share price of a corporation remains artificially inflated based on fictitious performance indicators provided to the investing public. Incidents of health care fraud have involved hospitals, doctors, pharmacists and other care providers submitting fake bills for services never rendered, service providers charging insurance for unnecessary and costly procedures, doctors selling prescriptions to patients for cash, companies billing insurance for expensive equipment but providing poor substitutes, and doctors stealing patients’ personal information to file fake claims. Identity Theft has evolved into a serious threat to consumers and the financial services industry, according to the FBI. Estimates place the cost of identity theft in the billions of dollars. A survey conducted by the Federal Trade Commission in 2006 estimated that 8.3 million American consumers, or 3.7% of the adult population, became victims of identity theft in 2005. Insurance Fraud has brought the FBI into working with the National Association of Insurance Commissioners, state fraud bureaus, state insurance regulators and other federal agencies. The FBI is a member of the International Association of Insurance Fraud Agencies, an international non-profit organization whose mission is to maintain an international presence to address insurance and insurance-related financial crimes on a global basis. The bureau takes special care with its investigations of insurance fraud involving victims of Hurricane Katrina. Other types of white-collar crimes the FBI pursues include money laundering, mortgage fraud, telemarketing fraud and other white-collar frauds. Organized Crimeis no longer a venue populated by Italian and Sicilian gangs, says the FBI. Today, it cites as key targets of organized crime crackdowns Russian mobsters who fled to the U.S. in the wake of the Soviet Union’s collapse, groups from African countries like Nigeria that engage in drug trafficking and financial scams, Chinese tongs, Japanese boryokudan, and other Asian crime rings, as well as enterprises based in Eastern European nations like Hungary and Romania. The bureau provides a breakdown by various groups: Italian Mafia/LCN; Eurasian; Balkan; Middle Eastern; Asian; African; and Sports Bribery. From 2000-2008, the FBI spent $4.26 billion on contracts to more than 4,800 companies. Lockheed Martin won a $1 billion contract to develop a new Next Generation Identification System. A 10-year contract, the new system will expand fingerprinting capability, doubling the size of the current FBI database. It will also include palm prints, iris and facial recognition capabilities. In addition, Lockheed won a $305 million contract to help FBI improve its information technology capability. McDonald Bradley Inc. was among 10 firms to win contracts on the FBI’s Technical Support and Development Project (TSDP). The five-year contract has a potential value of $42.5 million. McDonald Bradley will compete for task orders against AlphaInsight Corp., Comso Inc., Data Computer Corp. of America, Glotech Inc., InfoPro Inc., Innovative Management and Technology Approaches Inc., Pragmatics Inc., Project Performance Corp. and Staffing Alternatives Inc. Task orders cover various IT support services, including cyber security. for the development and deployment of the Next-Generation Combined DNA Index System. Under the contract, Unisys will provide the FBI with software development, deployment and optional operations and maintenance support. Unisys will partner with the University of Tennessee, Laboratory of Information Technologies; IBM; the University of Cincinnati and iSYS LLC to provide the Next-Generation DNA system. Unisys will provide a highly sophisticated search engine that will accelerate the DNA matching process. Six days before Oklahoma City bomber Timothy McVeigh was supposed to be executed in 2001, then U.S. Attorney General John Ashcroft had to put the execution on hold—thanks to the FBI. The problem: the FBI had withheld thousands of documents, including potential witness statements, from McVeigh’s defense attorneys. The mishap provoked a wave of criticism within the FBI itself, especially when public speculation centered on the possibility that the withheld documents could jeopardize the government’s conviction of McVeigh. Several FBI agents publicly questioned their bureau’s actions, and one even called the withholding of documents obstruction of justice. Another agent said the FBI had a “cultural problem” that was jeopardizing the bureau’s reputation and ability to do its job. In the end, the document scandal did not derail the execution of McVeigh, who was put to death a few weeks later. The FBI’s attempt to foster intelligence sharing between it and the private sector came under fire after The Progressive reported that the program had given participants the power to shoot-to-kill. The claim was based on the account of one member of InfraGard, a network involving thousands of companies and other organizations that share and receive top-secret information with the FBI. In response to the shoot-to-kill declaration, an FBI official in Washington refuted the claim, saying the bureau had in no way deputized InfraGard members to carry out such actions during the imposition of martial law. In November 2001, InfraGard had approximately 1,700 members. By January 2008, InfraGard had 23,682 members, including 350 of the nation’s Fortune 500 corporations. Having overstepped its bounds, the FBI is now faced with threats by lawmakers and even President Bush to clamp down on the bureau’s domestic spying. Following 9/11, the federal government adopted the Patriot Act which, among other things, gave the FBI increasing leeway to investigate suspected terrorists without court approval. At the center of concerns are what’s known as National Security Letters which the FBI used to demand information from businesses and individuals without a court order. Lawmakers from both parties called for new limits that would curtail the FBI from improperly obtaining telephone logs, banking records and other personal information on thousands of Americans. Details of the FBI’s work were revealed by the Department of Justice’s Inspector General, Glenn A. Fine, whose report mentioned widespread abuse of the FBI’s authority to seize personal details about tens of thousands of people without court oversight through the use of national security letters. Fine also found that the FBI had arranged for several leading telephone companies to allow the agency to ask for information on more than 3,000 phone numbers—often without a subpoena, without an emergency or even without an investigative case. In 2006, the FBI then issued blanket letters authorizing many of the requests retroactively. Both Democratic Sen. Charles Schumer of New York and Republican Sen. Arlen Specter of Pennsylvania threatened to introduce legislation to amend the Patriot Act to prevent the FBI or other federal law enforcement offices from abusing the Letters of National Security. Ever since the 9/11 terrorist attacks, the FBI’s intelligence gathering ability has been questioned. The aftermath of the World Trade Center and Pentagon assaults produced heated calls to strip the FBI of all intelligence-gathering capability. FBI leadership asked for a second chance, and while changes have been attempted, some critics still aren’t satisfied. At the core is the FBI’s historic lack of a strong intelligence operation. It never has relied on such duties as strategic analysis or effectively collecting, analyzing and disseminating domestic intelligence that can alert other law enforcement agencies of potential threats. Critics, including both Democrats and Republicans on Capitol Hill, contend the FBI will never get it right, that the bureau’s intelligence reforms are too slow and too limited. The FBI’s deeply rooted law enforcement culture and its reactive practice of investigating crimes after the fact make it impossible for the bureau to change its spots, to use the leopard analogy. 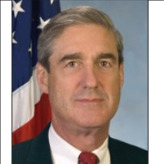 Critics also question whether Director Robert Mueller, who has an extensive background in criminal prosecution but lacks experience in the intelligence field, sufficiently understands the role of intelligence to be able to lead an overhaul of the FBI’s intelligence operation. Supporters, primarily President George W. Bush and other administration officials, counter that they believe the FBI can change, that its shortcomings are fixable and that Mueller’s reforms will work in the long run. They also argue that a successful war against terrorism demands that law enforcement and intelligence are closely linked. And they maintain that the FBI is institutionally able to provide an integrated approach, because it already combines both law enforcement and intelligence functions. Back in 2012 there was a Unit Chief(Tim Michael's) in Winchester who verbally threatened me to a (Terry Murphy)at the end of a Unit Chief's Meeting, + Overheard by a very reliable source to me,this is what Tim Michael's stated: If Claypoole comes back into Doc Lab I will make his life a living hell.It affected mentally + emotionally + actually afraid for my life, because who would believe an employee or a Unit Chief. I am telling Everyone This who may come in contact with him in Winchester. Please be careful. With Donald Trumps latest remarks about 2nd amendment supporterst stopping Clinton and his questions using nuclear weapons and his support for Russia and his other rantingside it become necessary for the FBI to start a security investigation into Trumps ability to hold the level of clearance needed to be president. This is the same investigation that everyone else must pass in order to receive access to that level of information. If he can not pass the investigation his clearance that was given him by becoming the Republican presidential candidate needs to be revoked for national security reasons. I was so disappointed today by the agent representing the FBI at the Baton Rouge press conference. Am I to draw the conclusion that he is allowed to rewrite the Pledge of Allegience when he omitted "under God" from his comments. Is this standard protocol throughout the department. I really would like answer. Thank you. There are soo many misleading reports on the Hillary clinton Private Server and Emails. I prefer to hear it straight from your department. First, Was or is there a continued investigation that she may have breached the security of the nation. Second, has the investigation been completed, and if so your findings. If not, I guess that will be my answer. I know you are not able to give me specific information. But anything that will suffice if in fact she is being investigated for breach of security. What are you doing about internet scams,person claiming to be Mrs Michelle Obama, offering $25 million for some ripoff scam , here's the phone number 1-360-276-6510 ,check it out. My son forged a Quit Claim Deed for my property and we had a handwriting Analyst check it and said it is indeed a forgery. He has stolen money, vehicles and our Ranch which is valued at $500,000.00. We contacted local Law Enforcement, hired and Attorney which has broken us.... but no one is doing anything. What can we do and who can we contact??? My name is John L. Gillaspie and my phone number is 605-535-2560, Thank You. Thank you for your decision to upgrade animal cruelty crimes, putting them in the same category as murders…from all animal-lovers, and good hearted people everywhere. I have always been proud of the FBI. This will just give me bragging rights among my friends! Criticized for appointing big dollar campaign donors and bundlers to important federal jobs, President Barack Obama broke the mold in nominating James B. Comey to be the next FBI director. Although Comey donated more than $7,000 during the 2008 and 2012 presidential campaigns, his money went to Obama's Republican opponents, Arizona Sen. John McCain and Mitt Romney. But Comey became a political hero on the moderate Left in January 2006, when reports surfaced regarding his role two years previously in averting a constitutional crisis by forcing the George W. Bush White House to accept certain changes to its warrantless wiretapping program. If confirmed by the Senate as expected, Comey would succeed Robert F. Mueller, III, who is statutorily required to step down as of September 4, 2013. Born December 14, 1960, in Yonkers, New York, James Brien Comey grew up in Allendale, New Jersey, graduating from Northern Highlands Regional High School in 1978. Comey earned undergraduate degrees in Chemistry and Religion at the College of William and Mary in 1982, writing his senior thesis on liberal theologian Reinhold Niebuhr and conservative televangelist Jerry Falwell, trying to find commonality in their belief in public action. He earned his JD at the University of Chicago Law School in 1985. After law school, Comey served as a law clerk for U.S. District Judge John M. Walker, Jr., in Manhattan, and practiced law as an associate at the New York office of Gibson, Dunn & Crutcher. In 1987, Comey joined the U.S. Attorney's Office for the Southern District of New York, working on the prosecution of the Gambino crime family and rising to deputy chief of the Criminal Division before leaving in 1993. Comey moved South in 1996 to serve as managing assistant U.S. Attorney in charge of the Richmond Division of the Eastern District of Virginia, remaining through 2001. Comey was the lead prosecutor in the 1996 Khobar Towers bombing case in Saudi Arabia, and also worked as an adjunct professor of law at the University of Richmond School of Law. Comey was appointed U.S. Attorney for the Southern District of New York in January 2002, staying until his confirmation as Deputy Attorney General on December 11, 2003. In those two years, he led or supervised many cases, including the high-profile prosecutions of Adelphia Communications founder John Rigas, sons Timothy and Michael, and others for fraud; of Martha Stewart for securities fraud and obstruction of justice; of ImClone CEO Samuel Waksal for tax evasion; and of Frank Quattrone for obstruction of justice. It was during his tenure as deputy attorney general from December 9, 2003, to August 15, 2005, that Comey took the stand that later made him famous. In March 2004, Comey was acting attorney general during a surgical hospitalization of Attorney General John Ashcroft. Certain aspects of a secret domestic wiretapping program run by the National Security Agency needed to be certified as lawful by the Justice Department, and Comey, based on legal conclusions reached by the Office of Legal Counsel, refused. Despite Ashcroft's fragile condition, White House Chief of Staff Andrew Card, Jr., and White House Counsel Alberto Gonzales made an emergency visit to Ashcroft's hospital bedside to try to gain approval from him instead. Comey left the Department of Justice in August 2005 to become general counsel and senior vice president at Lockheed Martin, the world's largest defense contractor. Leaving five years later, Comey joined Bridgewater Associates, LP in June 2010. After leaving Bridgewater, on February 1, 2013, Comey was appointed a senior research scholar and Hertog Fellow on National Security Law at Columbia University Law School. Since 2012, he has also served on the Defense Legal Policy Board. A Republican, Comey has donated about $10,000 to Republican candidates and organizations over the years, including $2,300 to John McCain in 2008 and $5,000 to Mitt Romney's 2012 campaign. James Comey and his wife Patrice are the parents of five children.